Possible Security Breach in Website of Core Security Technologies by sncope Hacker. 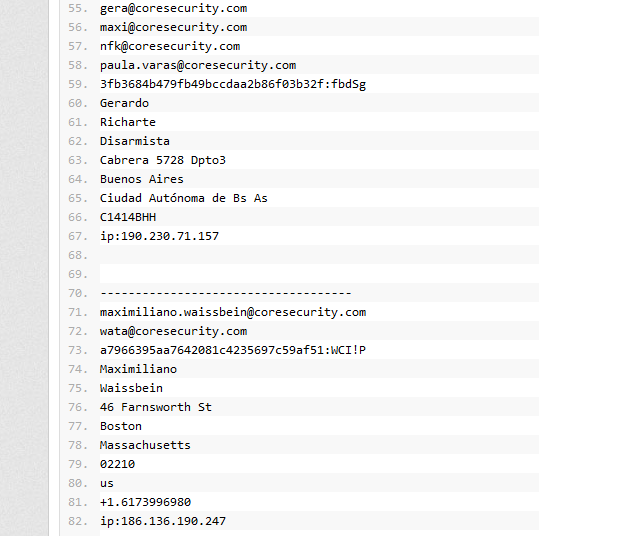 This is 3rd time when sncope hack and Leak the Passwords of Core Security Technologies. 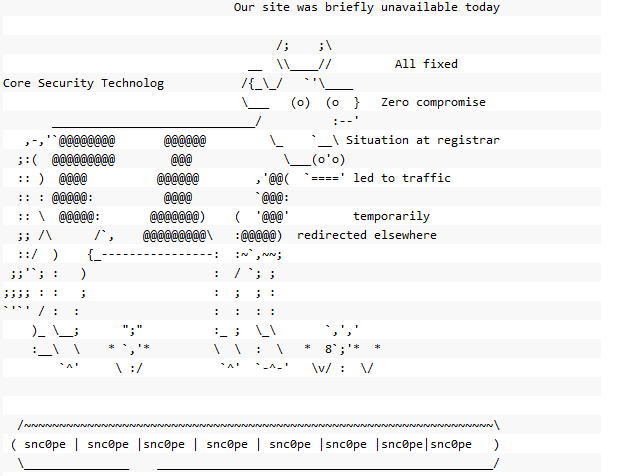 The details of Pentest done by sncope is available on Pastebin. It include the Login details with hashed passwords and IP address of Users as shown below. Last Time Core Security was Hacked in September 2011 by sncope. That time Hacker defaced the Homepage of Site. According to Core Security Technologies Hacker breached an old Server which is not in use from last 8 Years and there is no sensitive or confidential Information stored on it. Core Security's Response about above Attack "There is nothing of importance posted here. Core's active servers, websites or networks were not compromised nor did the information recently posted contain information residing on those systems. In fact, the information is from a third-party server with content of no value, that has not been used for at least 8 years. To be clear, there was no confidential information accessed."